If we look at the Indian market especially at the budget segment of smartphones. We get to see that there are two smartphones that giving each other a tough competition. Even it became quite for the buyers to choose the best one among both of the smartphones. Talking about the phones well one of them is the Xiaomi’s Redmi 5A and the other one is the 10.or ‘s or Tenor’s 10.or D. Both of the smartphones in India are priced at a reasonable price and come with lots of features and specifications. Just in case if you are wondering which one is the best? Then we are here to help you out. As you read further in this article we will be doing a comparison and tell you about the similarities and difference between both of the smartphones. So you will get an idea about both of the smartphones at the end of this article. So here we go with the Xiaomi Redmi 5A vs 10.or D without wasting much of the time. As we go with this article we will be comparing both of the smartphones feature wise. So it would easy for you to understand the difference and similarities between both of the smartphones. So here we go with the comparison of Xiaomi Redmi 5A and Tenor’s 10.or D.
Starting with the design at first, well when it comes to Xiaomi Redmi 5A there is nothing to talk about. The smartphone also sports same design as the Redmi devices. The only thing that the smartphone lacks is a finger print scanner at the back panel. Over all the design is good the speaker grill is placed at the bottom of the rear panel. On the top, there is a camera and flash placed in landscape way. Apart from these two things, there are not many things we get to see on the back panel. On the front, there is the front camera, speaker and sensor placed at the top and at the bottom there is the physical navigation menu. 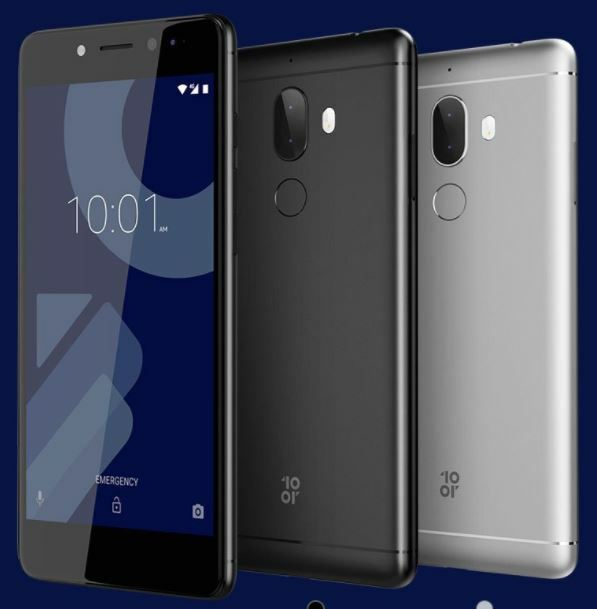 Now coming to the design of the 10.or D, the design of the smartphone is quite simple. On the front panel, they have ditched the physical navigation bar. If you look at the back panel of the smartphone you will get to see the finger print sensor and the camera. Both of these elements are placed horizontally at the top middle of the smartphone. Also just like the Redmi 5A the 10.or D also sports speaker grill at the bottom of the device. Now talking about the specifications, well both of the smartphones sports quite similar features. Also, the phone has a few differences. Starting with the Redmi 5A, the smartphone sports a screen size of 5 inches and the 10.or D sports a screen size of 5.20 inches. Also, both of the smartphone offers the same screen resolution which is the 720 x 1280 pixels. Under the hood both of the smartphone sports the same Snapdragon SOC which is the 1.4GHz quad-core Qualcomm Snapdragon 425 processor. Also, both of the smartphones are equipped with 2GB of RAM and 16GB of internal storage. However, when it comes to expandable storage capacity there is a little difference. The Xiaomi Redmi 5A supports expandable memory capacity up to 256GB and on the other hand, the 10.or D can only be expanded up to 128GB via a Micro SD card. As far as the batteries are concerned 10.or D has a bigger battery comparing to the Xiaomi Redmi 5A. The 10.or D comes with a battery of 3500mah and on the other hand, the Xiaomi Redmi 5A comes with a battery of 3000mah. Also, both of the smartphones comes with a non removable battery. Talking about the operating system, well in this section both of the smartphone runs on the same android version. Which is the Android 7.1.2; however with Xiaomi 5A you will get the company’s own UI which is the MIUI 9. Coming to the camera part, well in this section both of the smartphones have the similar specifications as well. The Tenor’s 10.or D and the Xiaomi Redmi 5A sports a 13 megapixel camera at the rear panel of the device. Talking about the front camera, well both of the smartphones comes with a 5MP camera on the front panel for selfies. Apart from the above listed specifications, both of the smartphones comes with so many other same features. Such as both of the smartphones supports Dual SIM. However, with the Redmi 5A Xiaomi did a great thing. As they are calling it “Desh Ka Smartphone” hence they have ditched the Hybrid sim slot for the Xiaomi Redmi 5A. This simply means that you can use two sim cards and an SD card at once. However, with the 10.or D, you will get a Hybrid sim slot. That means you will be able to use two sim cards at once either a sim card or a Micro SD card at once. Apart from these both of the smartphones comes with all the sensors and one year of manufacturer warranty. Now let’s talk about the pricing, The Xiaomi Redmi 5A comes with a price tag of Rs. 4999. Talking about the Tenor’s 10.or D price, well the smartphone is priced at Rs.4999. As you can see both of the smartphones cost the same? Overall both of the smartphone has so many similarities and a few differences. Hence it is quite tough for anyone to choose between both of the smartphones. If we talk about the Brand value then Xiaomi is in the business for a couple of years now and have become India’s top selling smartphone brand. But when it comes to Tenor the company has recently touched the smartphone market. 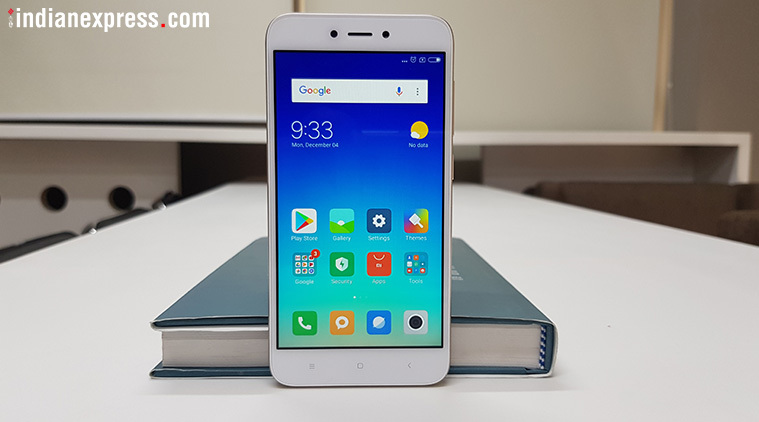 However apart from the brand value if we talk about the smartphone’s features then, of course, 10.or D has so many good features when comparing to the Xiaomi Redmi 5A. Like with the Tenor’s 10.or D you are getting a slightly bigger display then the Xiaomi Redmi 5A. Also, the Xiaomi Redmi 5A lacks a finger print scanner but with the 10.or D, you are getting the finger print scanner. So if finger print scanner is a priority for you then 10.or D, of course, a good option when compared to the Xiaomi Redmi 5A. However, the 10.or D comes with a hybrid sim slot so you have to compromise in this section a little bit. In simple words, both of the smartphones had lacks a few features and it is completely up to you and your requirements. So it is advisable to buy the smartphones that full fill your requirements.